Apple Cider Vinegar is still a fairly new phenomenon in India. Unlike Americans who use it for a variety of purposes- from cooking to cleaning– Indians are looking at apple cider vinegar mainly for how it can aid weight loss. A quick google search shows the interest in this natural product going up sharply. No surprises there are almost a dozen brands selling apple cider vinegar in India already, from Bragg to Healthkart. So how do you decide which is the best? And what makes it better than the rest? We did the research for you. After a week of researching top brands that sell acv in india, investigating their product label for ingredients, going over hundreds of reviews online, we hereby give you a roundup of the top 8 apple cider vinegar brands and products available in India. Whatever your goal is, whether you are looking to use it for weight management or just throw it in your salad dressing, these acv products are good. What’s more, most of these products are easy to find online, so no matter your location, whether you are in Delhi or Kochi, you will be able to buy them off amazon or healthkart or any other online grocery store for that matter. Continue reading this article to find out more about different acv products and brands in India. Have you used acv before? What brand is your favorite? How did you find the product? Let us know your thoughts in the comments section below. Let’s dive in. Bragg's is beyond compare. 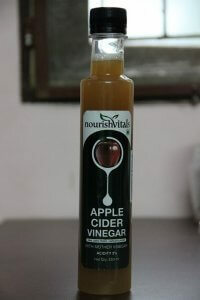 It is by far the best apple cider vinegar you could buy in India. Highly rated among the best in the world, Bragg's is clear with amber color, has a soft note with a distinctive apple-y quality, and comes with the mother. Made in the USA, it might not be as delicate as the other brands manufactured locally in India, but it's not too strong either. It's got a good body and doesn't have too much of acid. Even though it's costlier than most brands in the market, we think it's a really good one in terms of quality and taste. No surprise, it's got over 1500 positive reviews and counting. So, go forth and give it a try. We are giving it a gold star. Arguably the original, most popular and the most searched of all acv brands in the world happens to be the best apple cider vinegar brand in India as well. Apparently, it is one of the oldest acv products still available. Founded in 1912, Bragg Live Foods is home to an assortment of fresh and organic products sourced from local farms. 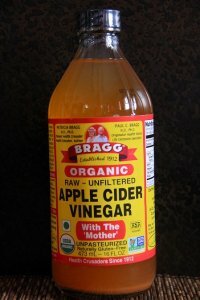 Although Bragg products are a regular feature on the shelves of many health stores in America, their apple cider vinegar products is still their flagship and are a cut above the competition. A product full of zest and natural goodness, Bragg’s Apple Cider Vinegar is extracted from fresh and delicious organically grown apples. It comes in many forms: raw and unfiltered, with the Mother, etc. Widely regarded as the healthiest apple cider vinegar you can possibly consume, the Bragg contains the ‘mother’ which is a naturally occuring live food that contains strands of active protein enzymes, essential vitamins and minerals such as potassium. No matter what you like acv for, whether it be the slightly sweet acid kick that they impart to sauces or the health benefits they are famous for, you cannot go wrong with the Bragg acv. And the good news is that they come in different sizes. If you haven’t tried acv before and are unsure as to whether you will come to like of the taste of it, you might want to try the Bragg 473ml bottle, which happens to be the cheapest of the lot. Bragg acv is available in several organic stores available in India, but if you like the convenience of shopping online, here are a few places where you can grab a bottle of Bragg. 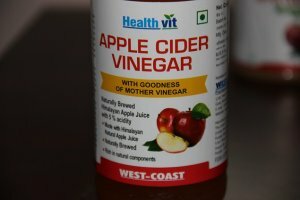 Another widely popular acv brand in India, mainly for its price more than anything, is Healthviva. Healthviva acv is made by fermenting fresh and natural Himalayan apples, which gives it its characteristic flavor, rightly balanced level of acidity and a cloudy texture. Pure and natural, Healthviva apple cider vinegar comes with the Mother if that matters to you. Comparing Indian acv to imported products such as the Bragg may not be a good idea, since they are quite different in terms of the processing that happens during manufacturing. But Healthviva is unprocessed and provides numerous health benefits. No wonder why Healthviva has managed to collect good reviews from customers so far. For those who wonder, It has more than thousand reviews online and a good number of them show the product in good light. And that’s a good sign if you are looking for a Indian product that is healthy and affordable. Loaded with antioxidants, vitamins and minerals, a single serving of the acv, say two teaspoons (10 ml) should be enough to give your body a small dose of goodness. This is a great health tonic for people suffering from diabetes; just a serving consumed before meal or bedtime keeps acidity levels in check and gives you great results. You can pick up A 500ml bottle of Healthviva apple cider vinegar at just half the price of one of the premium and healthiest acv brands in india like the Bragg. If you could tell between a mediocre and a good acv by a simple taste test, then here is one fine apple cider vinegar with great taste. Extracted from fine apples that make good cider, St.Botanica is clearly one among the high quality unpasteurized brands of acv available in India. Fresh apples sourced from orchards in the himalayan region are ground and pressed into afine essence essence which then goes through the typical fermented process where the sugars are converted into alcohol, and, then, converted into acetic acid. If reviews are any indication, St.Botanica apple cider vinegar is most likely to give you good results with your weight management, skin care and other health goals. Many people complained that it was quite watery than they imagined and that it was a bit too raw to taste. The reason being that St.Botanica raw acv is enriched with the mother carrying live enzymes, acetic acid, and other minerals and fibers that possess antimicrobial, antiseptic, anti-inflammatory and anti-glycemic characteristics. No wonder it serves as a great multipurpose product that you can use for different applications ranging from medicinal purposes to cooking. The manufacturer states that it is a good tonic for improving overall health but you cannot use it as it is. It needs to be diluted with water because it is acidic in nature and consuming it frequently may actually erode the enamel of your teeth causing teeth problems like cavities etc. Just like any raw and unpasteurized apple cider vinegar, St.Botanica has a good amber color characteristic of its acetic acid presence. It doesn’t taste too nasty and you can gulp it down with or without sugar, not worrying about how it would taste. It’s that good, when mixed with sugar. Just a little of this acv goes a long way towards making your meals tastier and healthier. Sold by HealthKart, the leading online health store in India, Healthkart apple cider vinegar is rich in naturally occuring enzymes that break down food thereby helping you stay free from intestinal disorders and troubles. It looks like apple juice and smells just like a real apple. But take a gulp and you’ll notice the difference. Its taste is quite typical of apple cider vinegar and some people might find it a bit sharp on their palates. This is one of the few brands in this list selling a variety of acvs with different flavors like ginger, lemon and garlic. The flavors are mild and combine well with the cider vinegar to produce a great taste especially when added to salad dressings. However, if you are someone who likes to consume it raw or with water, here is a routine you might want to try. Add a bit of honey to hot water and pour a tablespoon of the acv for a better drinking experience. Of course, you should dilute it in water to drink. If some reviews are to be believed, it also helps in soothing a sore throat, as well. NourishVitals is another indian brand to feature in this list that sells many organic health products among juices and vinegars. Like most products, this one is made from apple juice extracted by pressing good quality Himalayan apples which the maker claims are picked from some of the finest orchards in the country. The acv comes with the mother and it’s amber in color, slightly mellowish to taste, not too concentrated compared to other products in the market, and brings out the a sweet and sharp flavor to your food when added a little. 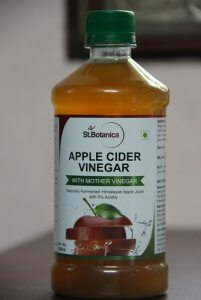 It is a great idea to start your day with this acv mixed in a glass of warm water, many reviews claim. The acv makes a great addition to your cooking, especially when used as part of dressings for vegetable salad and for marinating chicken, fish and meat. That said, some people were slightly put off by its price and thought that it was a bit on the pricier side. A natural and organic brand, True Elements also sells apple cider vinegar- both filtered and unfiltered- with and without the mother. They come in an assortment of different flavors namely lemon, honey, ginger, garlic and cinnamon. Crushing the musk of fresh apples releases fresh juice which are then trapped to make apple cider vinegar enriched with minerals and fibers having good medicinal properties. The maker claims so and we think they might be actually true. Like other multipurpose acv brands featured here, this has many uses. From cooking to tossing it in your after workout smoothie, you can use it in many ways. What’s more, it is also used as a conditioner after you have rinsed your hair with a shampoo. With almost half a thousand reviews across many online stores, HealthVit is clearly very popular among people searching for apple cider vinegar in india. Manufactured and distributed by West Coast pharmaceuticals based in Gujarat, the HealthVit acv is made from fresh himalayan apples. Dr Patkar Apple Cider Vinegar comes in many variants- with and without the mother, in single and double packs of 500 ml. 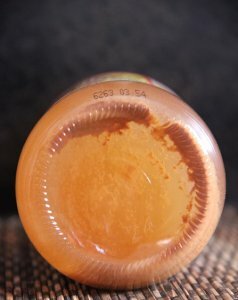 A close look at their range of acv products and you will find some unique flavors like Ginger, Garlic, lemon and honey, and the one that is sweetened with a natural sweetener called Stevia. Many of the positive reviews claim it’s one of the affordable acv brands in india but the rest of them raise doubts over its quality. In fact, one of the common complaints was that the acv is a bit too diluted and doesn’t have the mother. 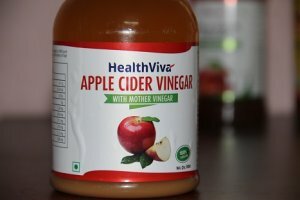 So what is the best apple cider vinegar in India? We think we have to give it to Bragg’s organic ACV with the mother. It is one among the best brands in the world if not the best, and the company has a bit of a tradition in manufacturing and selling different varieties of vinegar made by pressing fresh apples sourced from one of their large orchards in and around California. Can’t find Bragg? Or, maybe you are looking for something cheap, then the next best pick for acv in India would be the Healthviva. No matter what acv brand you choose, you should definitely give these ones a try until you find one that meets your expectations. Some of them are truly high quality too, with good taste and affordable pricing.